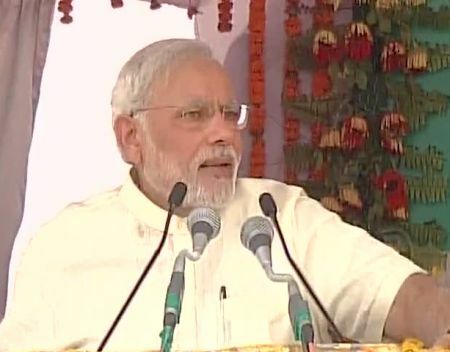 Prime Minister Modi addressed a rally in Mathura’s Chandrabhan village, the birthplace of Jan Sangh ideologue Deen Dayal Upadhyay. The rally is the first of the ruling Bharatiya Janata Party’s 200 rallies to mark the first anniversary of the National Democratic Alliance government at the Centre. 5) Would the plight of India have changed if the UPA were in power? 6) I want to ask you today; Didn’t I deliver on my promises? Loot has been put to an end or not?